Once upon a time beds came in pretty standard sizes, single and double. A lot has changed in the past twenty years with sizes and styles that fit everyone's taste and comfort. King size, queen size, super single and 4x6 King size beds are a few of the examples that are made more to individual preferences and not just one size fits all. 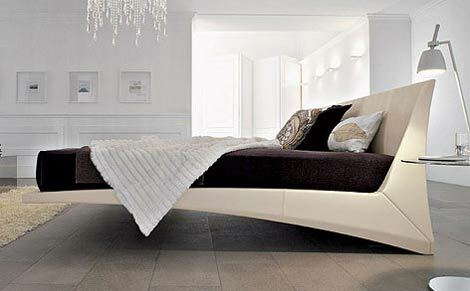 Style has become less ornate but still presents a rich look that can compliment anyone's bedroom. Different styles may also be mixed to present a new look without losing an old charm and fragrance of the past. For example, a sleigh bed that is tufted with a Chesterfield design in dark brown is perfect for a contemporary bedroom that is straight lined and simple without being overbearing in appearance. This will definitely be the focal point of any bedroom with alluring comfort written all over it. If you are looking for a more commanding presence with a modern flair, the latest design is the high headboard style with a low foot-board. A tall reaching front gives you many options in selecting night stands and table lamps that are sleek and art inspiring with chrome or metal bases. Shag rugs have come back only much more subtle and complimentary to modern living and look great surrounding these designer beds. For the kids, bunk beds are still a popular way to go and with today's multi-sized upper and lower bunks, they have an option of sleeping high in the sky or sharing a double bed with a friend on the lower level. They can even have a three-some with plenty of room to spare. Made in sleek designer metal and fixed ladders, this style will not outgrow your child as he approaches his teens. 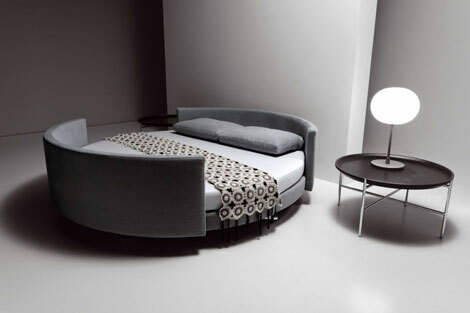 The most recent design to hit the streets is the storage bed that is made for designer furniture. A huge 4x6 double bed is lifted up on hydraulics so there is no physical effort on your part in displaying the huge compartment beneath your bed. Faux leather frames that come in numerous styles hide the storage space with all the grandeur that faux leather has to offer. For those that enjoy watching a spot of TV while resting in bed there are now options of a TV with a lift that comes right out of the foot-board of your bed. When you are ready to switch it off for the night, simply hit a button to have it slide safely back into its protected pocket. Of course the style is modern with plenty of compartments underneath for DVDs and gaming equipment. Memory foam mattresses or pillow toppers are another example of how the style of slumber has changed in recent years. Springs, lumps and dips are as ancient as 8-track cassette players with comfort being the forefront. If you have not looked at bedroom style lately, you owe it to yourself to discover a new and better way to sleep with the latest comfort and design of superior beds.